DeepSoul: Earth, Wind, and Fire - "Fall in Love with Me"
The legendary R&B group may be best known for their 1970s output, but they also produced some quality '80s singles. This is one of many times you'll see Earth, Wind, and Fire mentioned in this space. The legendary band fuses jazz, rock, soul, and Latin grooves to create a genre that no one else has ever duplicated. Like artists such as The Beatles or Stevie Wonder, if you don't like at least one track by this group, well, you may need some fine-tuning of your musical tastes. 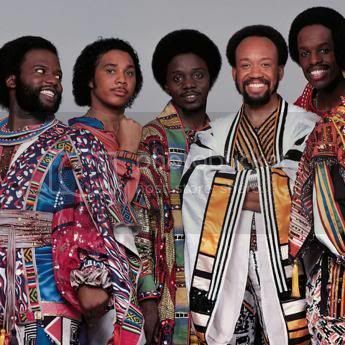 Founded by drummer, bandleader, songwriter, kalimba player, and vocalist Maurice White, the group explored the aforementioned sounds while incorporating elements of African and Egyptian culture. Lead singer Phillip Bailey's soaring falsetto and Verdine White's (Maurice's brother) popping bass added funk to the band, which began its musical journey in 1969. While health problems have sidelined Maurice, preventing him from touring, he remains involved in the group's musical direction. While Earth, Wind, and Fire may be most associated with the 1970s, they continued releasing quality singles in the 1980s as well. After 1980's commercially and critically disappointing Faces, they rebounded in 1981 with the uneven Raise!, which contains the EWF staple "Let's Groove." After taking time off from the music scene, the group issued 1983's Powerlight, which returned them to the Billboard charts. The album may not have broken new ground musically, but it nicely showcased Maurice's soulful vocals, which contrasted with Bailey's higher-pitched singing. The blaring horns and funky rhythms, both EWF mainstays, shine through on Powerlight, particularly on the single "Fall in Love with Me." Even though the track peaked at number four on Billboard's R&B charts and number 17 on the pop charts, the group rarely performs the song live today. This omission is puzzling, as "Fall in Love with Me" exemplifies EWF at their best. What makes "Fall in Love with Me" such a standout track? Start with its catchy beat and intricate percussion, then add White's smooth vocals crooning the opening line: "I can tell you that love is too deep to be played on." During the chorus, Bailey leads the band on the falsetto-heavy section: "Baby, you know, I could pick you up/ Turn your life around/ If you fall in love with me." Next, mix in some killer horns that emphasize the funk and danceable groove. The final button on the track—which is unfortunately cut off in the video below—is the guitar solo. Roland Bautista simply shreds, showing that the distance between soul and rock is very small. While some 1980s synthesizer creeps in, it never overwhelms the melody or vocals, thus not dating the song. After Powerlight, Earth, Wind, and Fire released the disappointing Electric Universe (although it did spawn the fun hit "Magnetic"), but returned to form on Touch the World, where they scored the 1987 hit "Thinking of You." Although 1990 brought an end to their top 20 chart appearances, they continue to play sold-out concerts, and classics such as "September," "That's the Way of the World," and "Shining Star" remain soul staples. While these songs are indeed memorable, "Fall in Love with Me" should not be an overlooked part of the Earth, Wind, and Fire catalog.